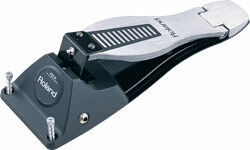 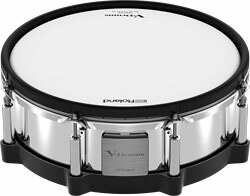 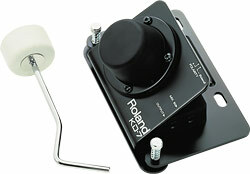 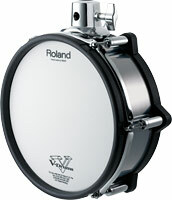 12-inch V-Pad for snare with improved rim sensor for accurate rim-shot sensing. 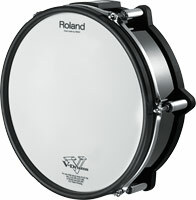 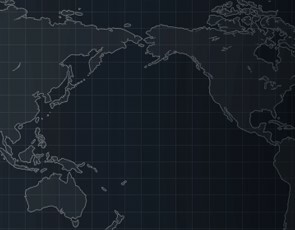 12-inch V-Pad with improved rim sensor for accurate rim-shot sensing. 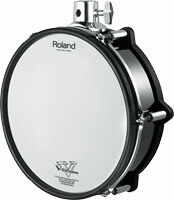 10-inch V-Pad with improved rim sensor for accurate rim-shot sensing. 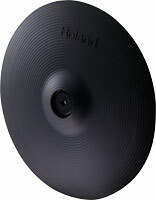 12-inch V-Pad featuring dual-triggering technology. 10-inch V-Pad featuring dual-triggering technology. 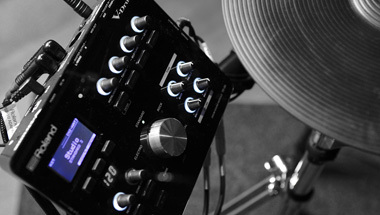 Compact and lightweight V-Pad for toms. 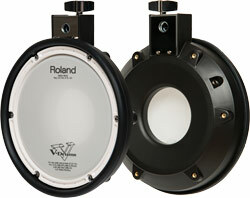 8-inch dual-zone V-Pad featuring dual-triggering technology. 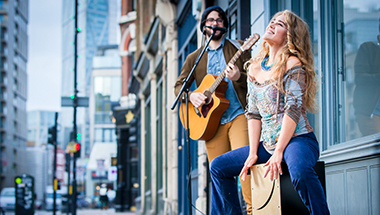 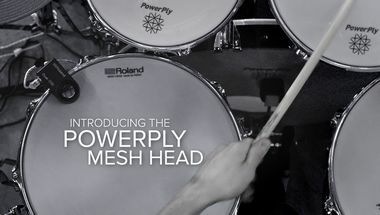 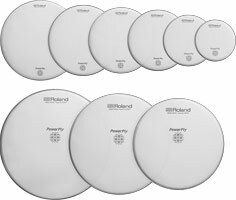 Nine mesh heads ranging from 8” to 22” that let you retrofit your acoustic drums for quiet practice. 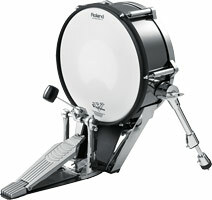 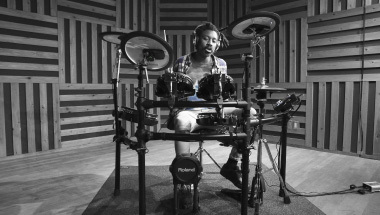 Enlarged (14-inch) bass-drum with solid-metal frame. 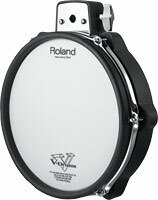 Sink your beater into this solid, great-feeling mesh kick pad. 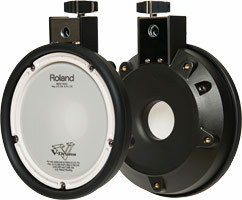 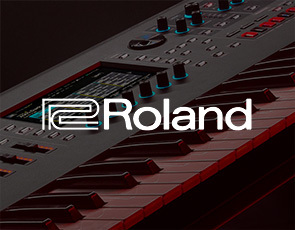 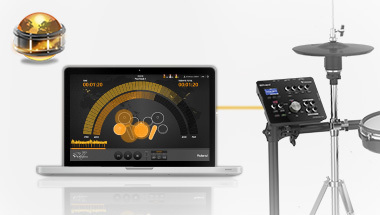 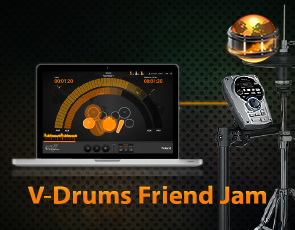 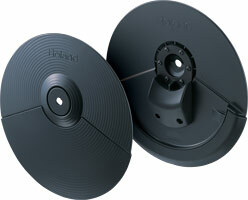 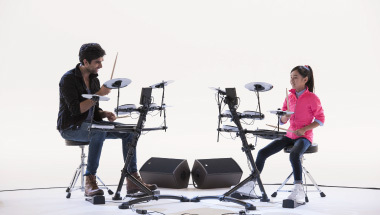 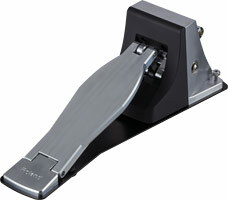 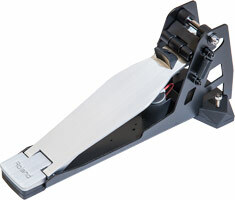 New V-Hi-Hat with improved motion sensor for natural hi-hat response. 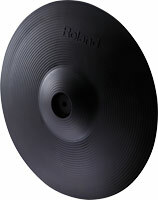 A 15-inch ride cymbal with natural swinging motion and positional sensing capability. 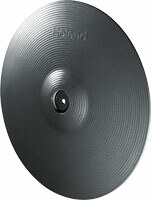 A 14-inch crash cymbal with swinging motion and choke capability. 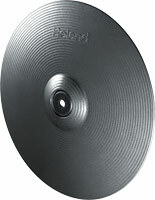 13-inch ride cymbal with natural swinging motion and three-way triggering for edge, bow and bell. 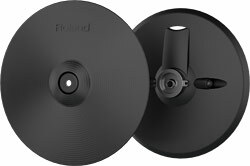 12-inch crash cymbal with natural swinging motion and “choke” capability. 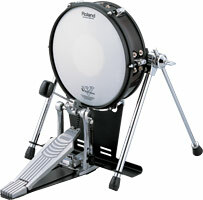 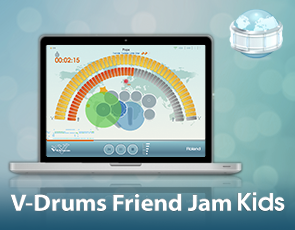 Featuring a 12-inch playing zone and swing movement for more drummer-friendly triggering. 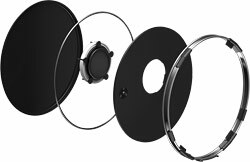 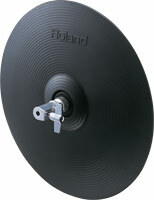 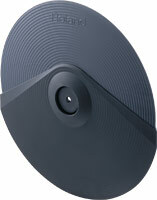 Optional cymbal pad with 10-inch playing zone and mounting hardware for TD-1K V-Drums.